Funny and easy to use. Perfect for wedding party table decoration, cute wedding table numbers. You can write down the point information on the blackboard to remind yourself something important or leave a message to your family, colleague, roommate, etc. Ideal for weddings, crafts, gift tags or decorating, labeling, reminders and memos, as well as party favors or gift. Available Quantity: 1pc, 2pcs, 5pcs. 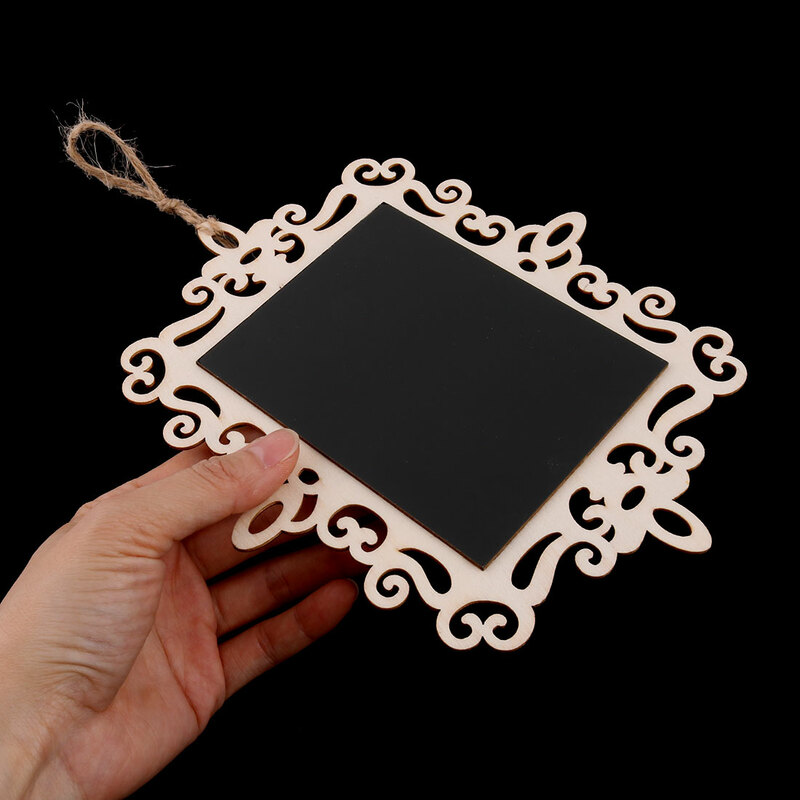 Suitable for Christmas table, weddings, crafts, place cards, party favors, restaurants, etc. Lightweight wooden body makes it easy and convenient to take to any where you want. Small enough to fit on a table, use high quality wooden, more sturdy than ever. You can write on it directly with chalk or liquid chalk, with a wet rag, the old text can be wiped away easily, its a perfect reusable item.